Old map by DE JODE - Disce nepos virtutem ex me. Title: Disce nepos virtutem ex me. Size: 11.3 x 14.7 inches. Condition: Cut on neat line. Paper re-inforced with very thin Japan paper. Paper slightly age toned. One small worm hole filled in. Good impression. 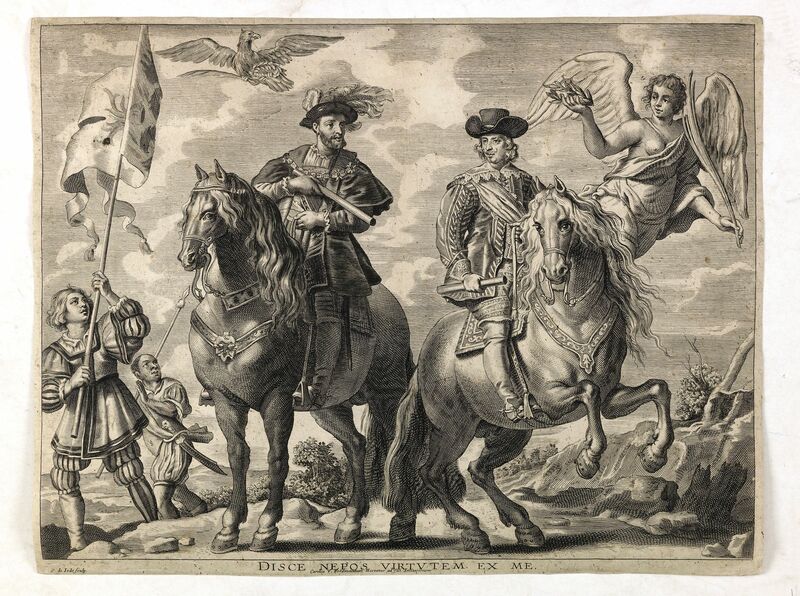 Charles V, ruler of the Holy Roman Empire on horseback with Archduke Ferdinand. From the series "Guillielmus Becanus, Serenissimi principis Ferdinandi Hispaniarum infantis S.R.E. cardinalis triumphalis introitus in Flandriae metropolim Gandavum, containing 42 plates of which this one is plate 20. 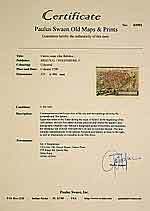 A proof state is known without the engravers name. Reference: Atlas van Stolk 1765-20..